First map is of the large compressor stations in the area. The purple triangles are air monitoring stations.Correlate the color of the compressor with the amount of of projected emissions(see legend for info). 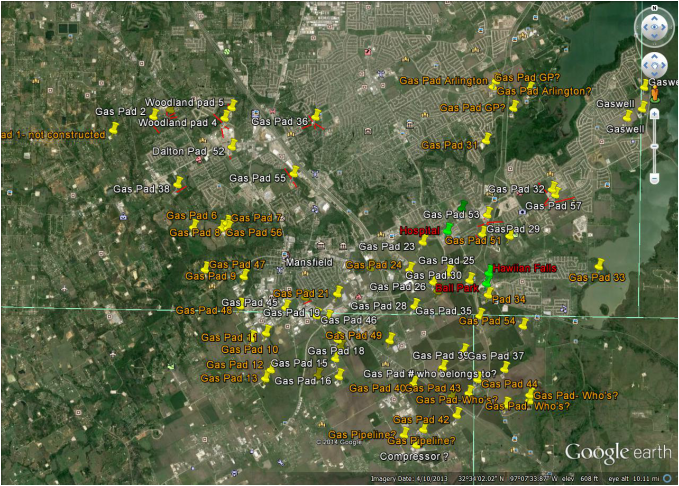 Second map is of compressors, air monitors , gas wells in blue and oil wells in red . 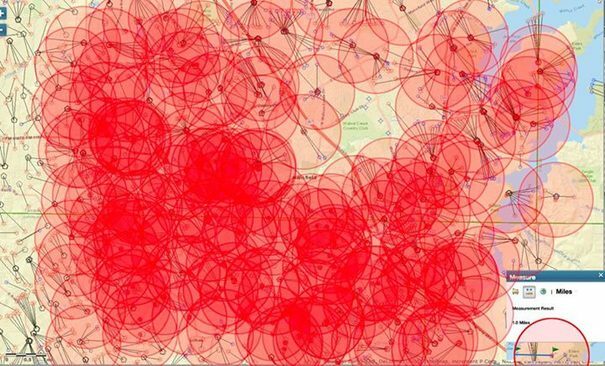 Third map is a combination of air monitors, gas and oil wells. 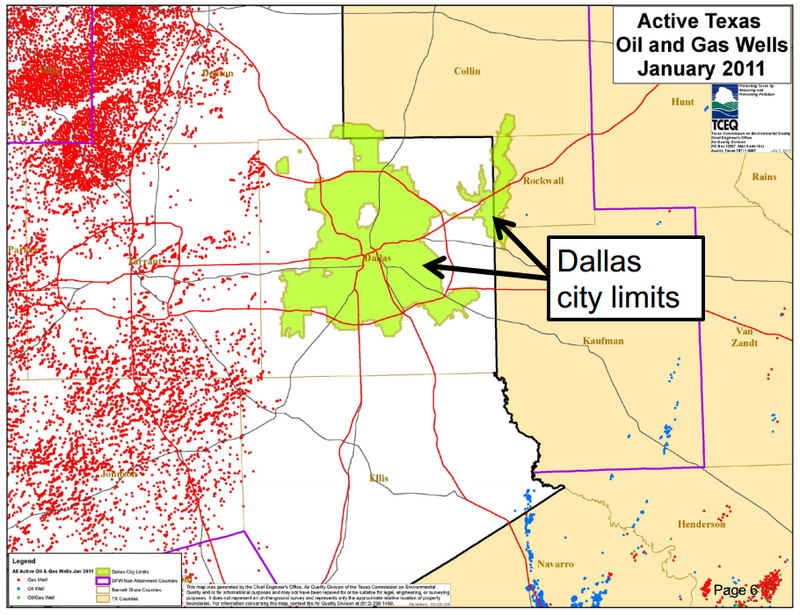 Red dots represent gaswells. Notice Mansfield area. Click the picture to read .